The FBH and Technische Universitaet Berlin (TU Berlin) spin-off from Germany develops and manufactures LEDs emitting in the UVB (280 nm – 320 nm) and the UVC (230 nm – 280 nm) spectral regions . Due to their customizable wavelengths , low operation voltages, ability to be rapidly switched and dimmed along with their robustness , the compact devices are suited for a great variety of applications. 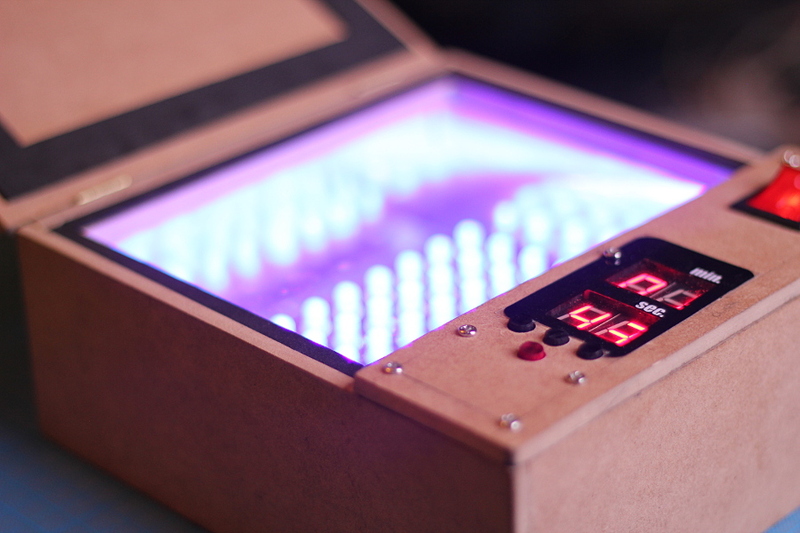 These include water purification, disinfection, medical diagnostics, phototherapy, plant growth, UV curing, and sensing. 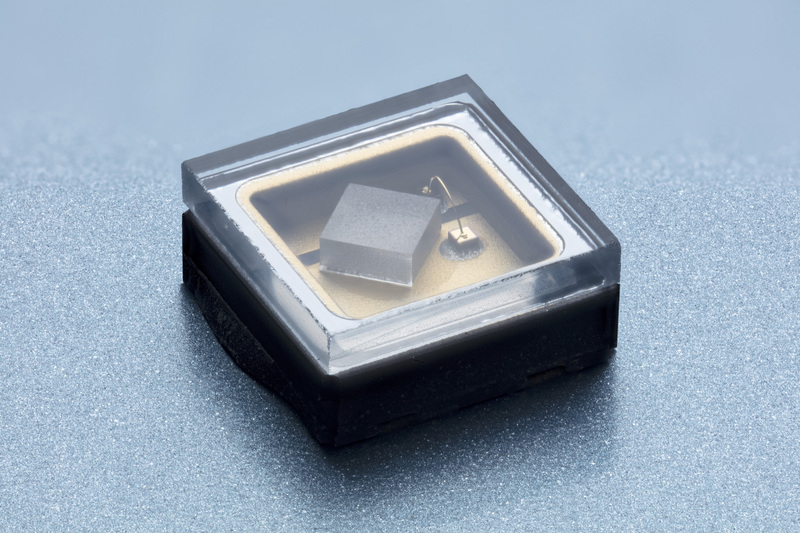 Featured products at Photonics West 2019 comprise 310nm – UVB LEDs with up to 30mW out put power at 350mA and 265 nm UVC LEDs with > 25 mW at 350 mA. 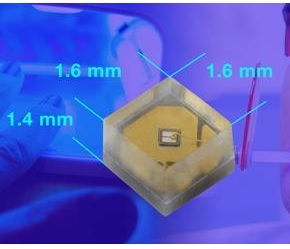 Also, fully packaged UVC LEDs with single emission peak at 233nm and an output power of 0.3mW at 100mA will be showcased. 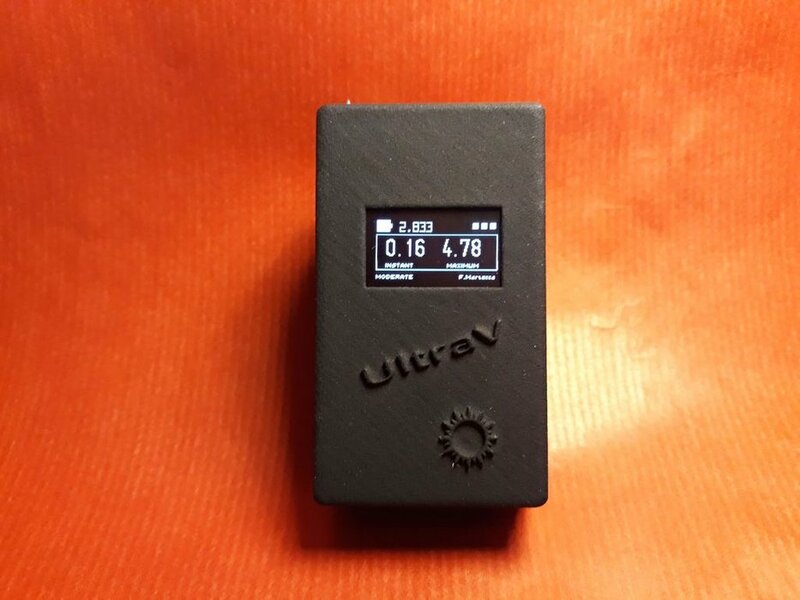 In addition to these standard wavelengths, UVphotonics offers customizable LEDs tailoring the emission wavelength, emission area and spatial emission characteristics to meet to the specific requirements of the respective application. We stay at the forefront of UV LED technology due to our close collaboration with the FBH and the TU Berlin ”, points out Dr. Neysha LoboPloch, CEO of UVphotonics.